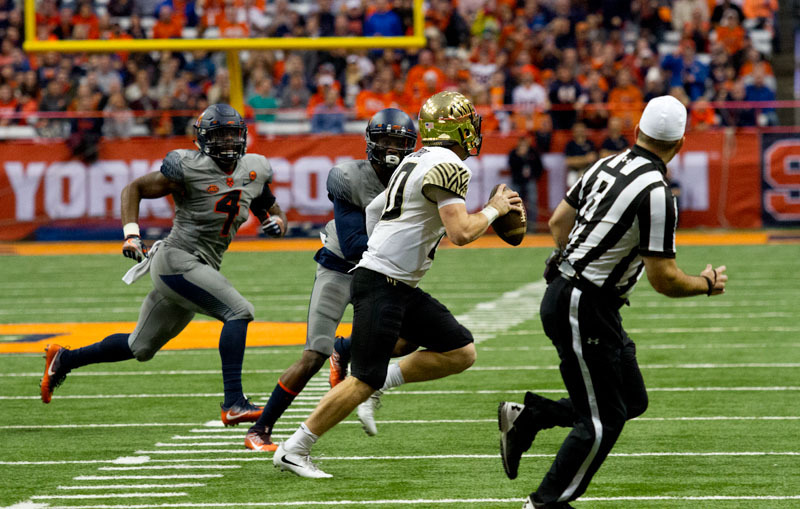 WHAT HAPPENED: Up 17 coming out of halftime, Syracuse’s defense completely imploded in the second half, giving up 40 points in a disappointing loss. Tight end Cam Serigne’s six-yard touchdown reception with 7:17 left came in direct response to a Zach Mahoney interception, and Matt Colburn added a 76-yard run at the 2:00 mark sealed a remarkable turnaround. 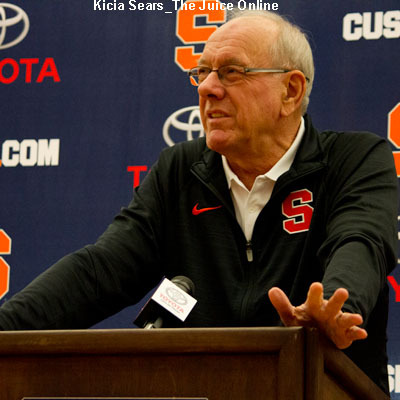 ANALYSIS: Syracuse had come into the game allowing just 24.9 points a game, 13.7 fewer than it did in 2016. But Brian Ward’s defense took a beating against the Deacons, allowing 363 passing yards and 237 yards on the ground to Colburn. The Orange defense had also been stout on third downs, leading the country in third-down defense (.220). But the defense allowed eight of 16 conversions on third down, and 2-2 on fourth down. HERO: John Wolford terrorized the defense, throwing for 363 yards and three touchdowns, while rushing for another 136 yards and three scores on the ground. 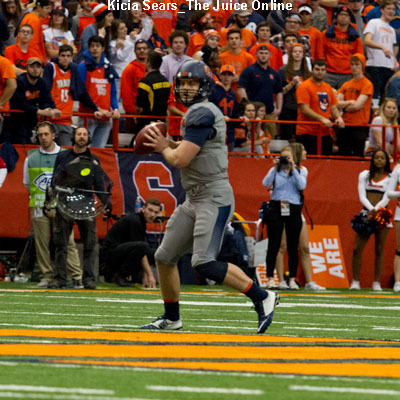 His favorite target was Serigne, who hauled in all three of his touchdowns. 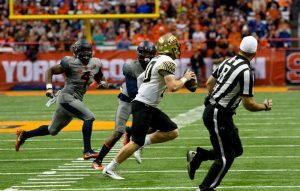 ZERO: Syracuse’s bowl hopes, once high after an improbable win over No. 2 Clemson, are now in peril. The Orange stand at 4-6, and will need to win at Louisville and then at home against Boston College to close the season to play in December. WHAT’S NEXT: Syracuse heads out to Louisville to take on the Cardinals on Saturday, Nov. 18 at 3:30 p.m. TV: ESPN2/ESPNU.